Vitiligo is a skin disease in which patches of skin all over the body lose their real color and become white. This happens due to the cells responsible for making color in these areas of the skin getting destroyed. These cells are called melanocytes. Other than the skin, vitiligo can also affect the eyes and the mucous membranes of a person. The exact cause of vitiligo is unknown, for there are countless opinions, ideas and even contradictory research studies about the real causes. Some researchers have the opinion that it is an autoimmune disease, in which the human body's immune system unexpectedly starts attacking some parts of the body. It is believed that the immune system starts attacking the meloanocytes in the skin responsible for pigmentation. Moreover, this disease may have its roots in a person's genetic makeup as well. Others are of the opinion that the melanocytes begin to destroy themselves. Many researchers say that sometimes some events, such as severe sunburn and emotional distress, can bring about this disease. However, there is no proof that these factors are actually responsible for causing vitiligo in any way. Vitiligo has substantial impact on people all over the globe. For example, in the US alone, around 1 to 2 million people have this disease and most of them have developed it before turning 40. It has been observed that this disease has the same impact on all races and genders, regardless of area or environment. According to studies, people having specific autoimmune diseases, such as hyperthyroidism, are more prone to suffer from vitiligo. Researchers and health scientists have not been able to figure out why this is so. 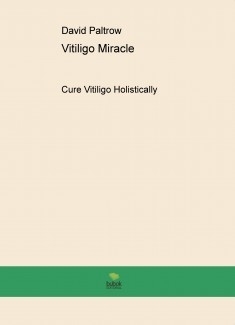 Simultaneously, it has been noted that most people with vitiligo do not have any other autoimmune diseases. Vitiligo has a genetic factor attached to it as well, and children whose parents have suffered from this disease are more susceptible to it. However, this does not necessarily mean that a person whose parent has vitiligo will definitely develop the disease.